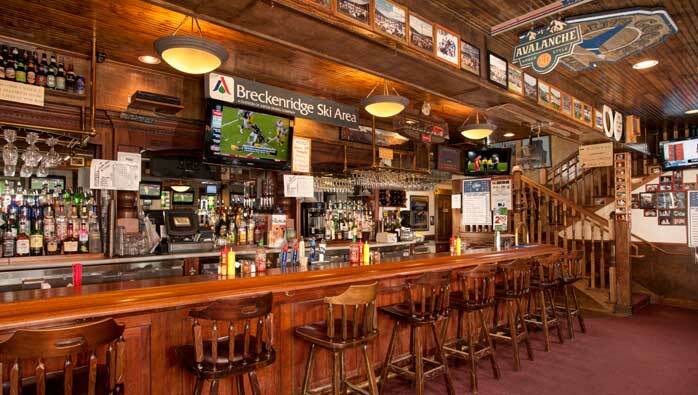 Breckenridge, Colorado's local sports bar and oldest pizzeria serving lunch (11am- 4pm) and dinner (4-10pm) in a casual, family-friendly atmosphere. 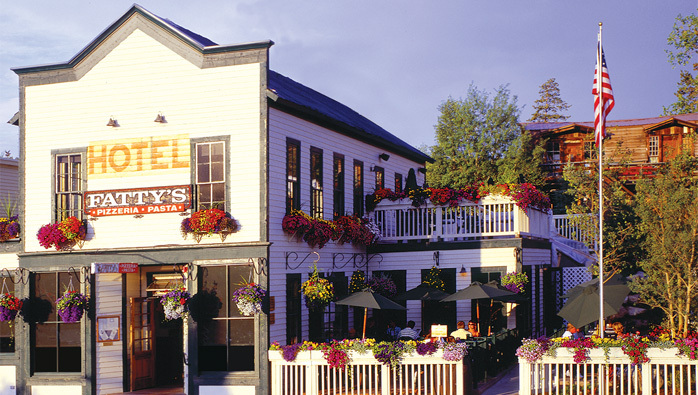 Famous for tasty food, generous portions and housemade pizza crust, corned beef, soups and sauces. Hearty portions at reasonable prices, served with only the freshest ingredients. Lunch and dinner feature pizza, sandwiches, creative salads and pastas. Staff favorites include the wings, gyros, meat lover’s pizza, reuben and chicken marsala. Check out the daily specials for the chef’s latest creations. 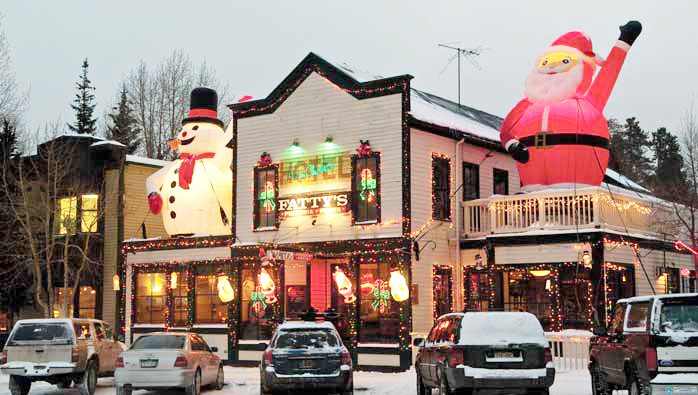 You’ll leave with a belly full of food! You can also order family buckets of food to go to feed your crew at your condo or home. The hangout of local legends. Sports bar with 21 TVs and a full selection of beer, wine and spirits. Chicago sports headquarters. A vibrant happy hour. Late night slices available. Share stories of the day’s adventures, pick up a handy tip from the locals and enjoy friendly ribbing among rival sports fans. 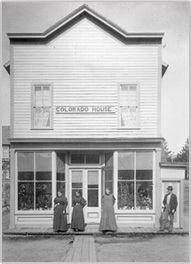 Housed in a historic building dating back to the late 1800s (read more), it is full of rich memories and shared good times. During the summer, the patio offers fantastic views, bodacious flowers (grown by the owner himself) and plentiful outdoor seating. Locally owned and operated by Southside Johnny since 1981. A Chicago native, fanatic of food traditions and fun times, and a florist extraordinaire (you’ll see his blooms outside other local restaurants as well), Johnny and his staff welcome locals and visitors back time and again. Come on in and hang out for a while- just “don’t poke the bear” (but pictures are fine). Copyright © 2014 Fattyspizzeria . All rights reserved.